What is special about the Undergraduate Biophysics Program at York University? Is there a Master’s or Doctoral degree program in biophysics at York University? Where can I get more information about biophysics at York University? Where can I get more information about York University? Biophysics is an interdisciplinary frontier of science in which the principles and techniques of physics are applied to study living things and how they work. 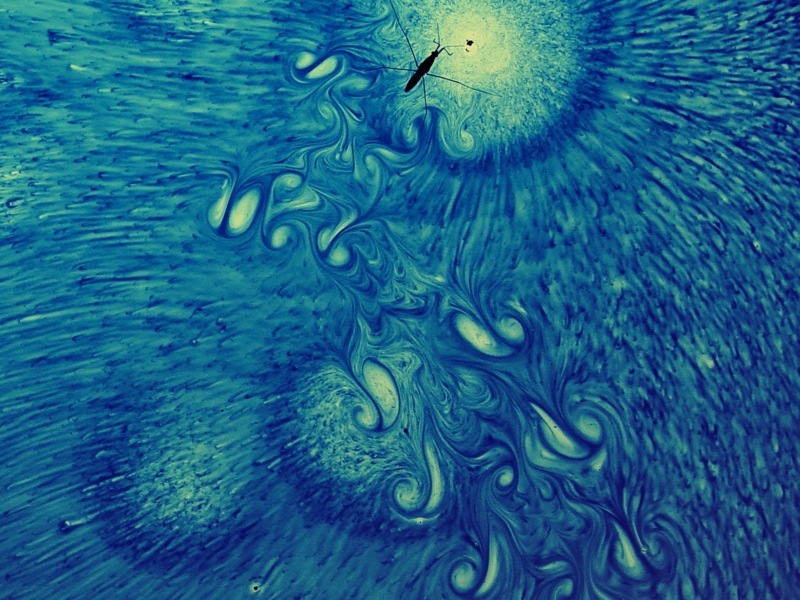 Biophysicists are also involved in applying their knowledge of fundamental physics to develop and implement new techniques for analyzing organisms. Biophysicists may even facilitate the application of biological knowledge to problems in physics. What is special about the Undergraduate Biophysics Program York University? York University offers a comprehensive four-year undergraduate degree program in biophysics. The program is special because it is strong in both physics and biology, focussed by courses dedicated to biophysics, and sufficiently broad in scope to expose students to knowledge and techniques applicable not only to humans but to all of the kingdoms of life. Students acquire a theoretical and practical understanding of biology, physics and biophysics through both lecture-based and lab-based courses. The program offers experiences with lasers that are unique in Canada. Practical skills in mathematics and computing are developed by promoting applications to physical and biophysical problems. Powers of lateral thinking are enhanced through the mixing of physics and biology courses and the unification of material through biophysics courses. In the end, students learn to recognize biological problems that could benefit from physical insights as well as physical principles that might productively confront biological challenges. Most important, students gain the ability to think critically and to analyze and solve complex problems, talents that are in high demand in both the private and public sectors. Because of the breadth of their training, students who graduate from the Biophysics Program at York University have a wide range of career options. Jobs for which training in biophysics would be an asset exist in both the private and public sectors, including aerospace, agriculture, biotechnology, computing, environmental science, fashion, forensics, health, medicine, neuroscience, pharmaceuticals, and robotics. For example, there is demand for biophysicists in many large and small biomedical companies and in public institutions such as government laboratories, research units in hospitals, and public policy agencies. Companies and organizations engaging in activities with biophysical roots are highlighted under Careers. Biophysics is a highly-regarded path towards a career in medicine. In fact, undergraduate majors in physics recently ranked number 2 in performance on the MCAT (after economics majors; see MCAT, LSAT, and Physics Bachelor’s, American Institute of Physics, December 2013). Biophysics is also a good starting point for a career in optometry or in dentistry. Students who graduate from the Biophysics Program at York University are well-prepared for diploma programs in radiation therapy, ultrasound, and other applied health sciences, such as offered by the Michener Institute. Biophysics graduates are among the most valuable contributors to the teaching profession because they are so versatile. Students who graduate from the Biophysics Program at York University achieve strong backgrounds in biology, biochemistry, physics, mathematics, and computer science, so they are capable of teaching a wide range of courses in school curricula. In Ontario, biophysics majors who wish to become teachers would normally apply for admission into a teacher education program following completion of their degree. Students who wish to embark upon a research career must go on to graduate studies. Those who wish to lead research require a Ph.D. York’s Undergraduate Biophysics Program is a logical starting point, especially for students who want the widest possible choice of options for study. The Program offers excellent preparation for graduate studies in biophysics or biological physics. With judicious selection of courses, the Program facilitates graduate studies in physics or biology, too. Applicants admitted to York University who lack any of these requirements cannot become Biophysics majors until such time as the deficiencies are corrected. Those who wish to become Biophysics majors can initially enroll as "undeclared majors". York University offers bridging courses (high school equivalents) to help such students meet the entry requirements of the Program. Students start by taking survey courses in biology, chemistry, and physics, along with supporting courses in mathematics and computer science. Specialized courses in biology, physics, and biophysics follow. Students are grounded in foundational physics disciplines such as electromagnetism, thermodynamics, and quantum mechanics as well as foundational biology disciplines such as genetics, biochemistry, and cell biology. Biophysics courses confront the physics behind problems in the life sciences. Students have a wide range of choices starting in third year, ranging from photosynthesis to biomechanics on the biology side and electronics to fluid dynamics on the physics side. Rich laboratory experiences accompany lecture-based courses in all four years. Required courses and the suggested rate of progress are given in the Biophysics Undergraduate Handbook. York University professors in all science and engineering disciplines engage undergraduate students in their research. Engagement can take place through a paid “work/study” position or through a one-semester research course in the third or fourth year of study, any of which are possible throughout the year. Biophysics students also have the opportunity to participate in the University’s Technology Internship Program, which enables them to gain a paid internship outside of the University for up to 16 months. Biophysics is an Honours Program, and as such students are required to achieve an average grade of C+ or higher (York University Grade Point Average of 5.0 or higher) over all courses in order to graduate. At York University, degrees (namely, the fancy pieces of paper) do not specify departments, programs, or streams. All students graduating from the Biophysics Program would receive a degree stating “B.Sc., Honours”. On the transcript, however, the full details of a student’s educational path are given. So, a biophysicist’s transcript would show: Faculty of Science, B.Sc. Hnrs., Biophysics. It is possible to obtain a Master’s or Doctoral degree in Biological Physics by enrolling in the Graduate Program in Physics and Astronomy at York University. General information about the Graduate Program can be found here, and research in biological physics at York University is described here. Information about careers can be found on this website under Careers. Images, videos, and articles pertaining to biophysics can be found on this website under Explore and on the Careers page for Teaching. A database of graduate programs in biophysics is maintained by the Biophysical Society of America. Full details concerning the Undergraduate Biophysics Program are summarized in the Biophysics Undergraduate Handbook. The Undergraduate Biophysics Program is managed by the Department of Physics and Astronomy, whose website is here. At the graduate level, biophysics can be studied under the rubric "Biological Physics", which is a field managed by the Graduate Program in Physics and Astronomy. Program details are provided in the Physics and Astronomy Graduate Handbook. The website of the Graduate Program in Physics and Astronomy is here. York University is located in Toronto, Ontario. With a culturally diverse population of 53,000 students and 7,000 faculty and staff, it is the second largest university in Canada. Worldwide, it has a community of 250,000 alumni. York is internationally recognized for research by faculty and students, which is led by 11 faculties and 27 research centres. The University is also on the forefronts of educational innovation. It's Scott Library houses over 2.5 million books, and its newly built stadium recently hosted the track and field portion of the Toronto 2015 PanAm/ParaPanAm games. The academic community benefits from a wide range of restaurants, shops, and services situated on campus. York will be directly linked to the Metro Toronto subway system once construction of subway stations on the north and south sides is completed in 2017.